← Pinterest Shopping – it’s in the Bag! One of the most exciting endeavors when an economic recovery is underway is the granting of opportunities for business success. While students throughout the world seek an education to better position themselves for achieving their career goals, the opportunities afforded by their educational institution of choice can often prepare the path. At Missouri Western State University’s Steven L. Craig School of Business, such opportunities are born of one man’s desire to enable the next generation of entrepreneurs. Through a partnership with the Rocky Mountain Chocolate Factory, interested Missouri Western students and alumni can seek acceptance into the entrepreneurship program within the school of business. If accepted, they enroll in the applied entrepreneurship class. 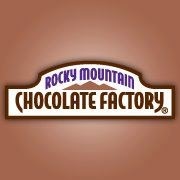 In addition to learning critical tools to prepare them for business creation and leadership, students also have the opportunity to compete for store ownership of a Rocky Mountain Chocolate Factory location. Created and once financed by Craig Realty CEO and benefactor of Missouri Western’s Craig School of Business, Steven L. Craig, the program will now be financed by Rocky Mountain Chocolate Factory, with aggressive plans in place to multiply the number of stores in operation owned by Missouri Western business graduates. For those students willing to go after the prize, they will own their own business upon graduation. In the St. Joseph area, the success of this program is already in action on Frederick Avenue. The new Rocky Mountain Chocolate Factory store and the new Aspen Leaf (a Rocky Mountain Chocolate Factory-owned brand) are both extensions of the current entrepreneurship program at MWSU’s Craig School of Business. Currently owned by Leslie Oberg, competition winner and graduate of the Applied Entrepreneurship program, the stores not only cater to the local demand for quality chocolates and creative yogurt combinations; they also serve as a destination for training and demonstrations for students involved in the entrepreneurship program. As a graduate of the Missouri Western school of business and an entrepreneur, I am excited about the opportunities Steven L. Craig has afforded our local students and our community. And, while not all students dream of owning a chocolate franchise, many still yearn for the opportunity to develop the skills and education gleaned in the entrepreneurship program. 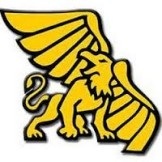 Given the success of the program and the stores now owned by MWSU graduates, expect to see increased intensity in competition among students and a growing demand for a MWSU education. If you haven’t had the opportunity to do so, stop in Rocky Mountain Chocolate Factory and Aspen Leaf and see what the all the excitement is about. And, go hungry. The vanilla yogurt with peanut butter cups sprinkled on top is a great mid-day treat! This entry was posted in Monday Morning Coffee and tagged Aspen Leaf, business opportunities, entrepreneurship, Missouri Western State University, MWSU, Rocky Mountain Chocolate Factory, Steven L. Craig, Steven L. Craig School of Business. Bookmark the permalink.